Maxime LENOIR would have been 126 years old today. He used to be one of the most renowned and talented pilots. He had been an aviation pioneer as he was among the very first pilots who performed the famous « looping the loop » aerobatic manoeuvre in the trail of Adolphe Pégoud between 1913 and 1914. He took part in a few air races, and a lot of air shows on his Blériot XI, nicknamed « Backjumper ». The local, national, and international press started to write articles about his prodigal sense of flying in the numerous airshows as the spectators cheered him every time he showed up. For instance, he was carried in triumph after he performed aerobatic manoeuvres above « La Girardière », the Girard family airfield in Chargé, his home village where up to 5,000 people were gathered to attend his air show in May 1914. Lenoir was rising to fame when Archduke Franz-Ferdinand was murdered and as the « European war » broke out, he joined up shortly after. In spite of his exceptional flying skills, Maxime Lenoir was unfortunately compelled to join the French cavalry. He then kept on requesting an assignment in the brand new military aeronautics recently created by General Hirschauer, and became a fighter pilot. However, he was first posted to the target-shooting department at the C18 flight, then he was transferred to the N23 flight as a fighter pilot. He waged a devastating war over the trenches, and against the Prussian aviation in fierce air battles over Verdun. He tested new weapons, and airplanes. He became one of the first pilots to shoot down a balloon. After a few victories in 1915, he became the N23’s best fighter pilot in 1916 with 11 victories, and most decorated among prestigious names – Pinsard, Casale, Gilbert, de Beauchamp, Rochechouart de Mortemart, Brindejonc des Moulinais, Roland Garros, Pulpe (from Russia), Baumont, etc. He was the best ace in his flight, and even reached the top four French aces in 1916 as he remained in the top-two aces in the summer of that year. According to German soldiers’ testimony, Lenoir was a very skillful and fearsome ace. They knew him well as they knew Navarre, Nungesser, Guynemer, Dorme, and Boelcke, of course. It is important to note that Mannock, Rickenbacker, Collishaw, Bishop, Löwenhardt, Little, Udet, McCudden, Fonck, Von Richthofen, Beauchamp-Proctor, and McLaren were not so famous at that time for some of them were not aces or did not have so many victories. Air war between 1914 and 1916 was totally different from 1917/1918. As Lenoir had trained at Blériot’s Buc airfield, the best aerobatic flying school, he was able to cope with a jammed machine gun and dodge the enemy fire. Like a toreador, and in a very skillful way, he could lure the enemy pilots when his fellow pilots were under heavy fire. He was the best bullet dodger but took a lot of risks, too much maybe. He flew back to Vadelaincourt airfield with his aircraft crippled with bullets many times. He never hesitated to help his fellow pilots whenever he could since he dared to face up to several German airplanes in a row. He was deemed to be a very good friend, as well as salvation in the sky of Verdun. For instance, when he learnt that his friend Navarre (nicknamed « Verdun’s sentinel ») had been shot down and seriously wounded on June 17th, 1916, he took off immediately. Alone, he made for the location where his friend had been downed, and dashed to an LVG C that he shot down without delay. He became so famous that either his name or his portrait featured on magazines, candy wrappers, and stamps, among the greatest aces in the hall of fame. Maxime Lenoir had more than a hundred war missions, which was considerable at that time. Wounded twice in air combat, he kept on dogfighting. He took off the day after the take back of Fort Douaumont, wrecked havoc by the battle. He was flying his legendary SPAD VII tagged « Trompe la mort III » which meant « death-dodger » on October 25, 1916 when he was reported MIA until much later when he was declared « Dead for France ». However, he has never been found despite extensive searching. Unfortunately, this is why aviation history forgot him for almost a century. One of the most brilliant pilots had disappeared from World War 1 history. He remained all the same in a few books in English, and Jacques Mortane, the French journalist left several publications highlighting the role of Maxime Lenoir in aviation and air combat. Then nothing, almost nothing written on this pilot who was awarded the Legion d’honneur, Médaille militaire, Croix de guerre with 8 palms, as well as the notorious Aeroclub of America, and Aeroclub of France gold medals! Only two men kept his remembrance alive – first, Abel Anjorand who has always been a long-time friend of Lenoir’s family. He compiled a set of documents and pictures to leave a trace of the village’s ace to future generations. Didier Lecoq, a journalist and historian, has revealed Maxime Lenoir’s feats on his website aeroplanedetouraine.fr for a few years. The WW1 ace could have stayed hidden for possibly a couple more decades without Didier Lecoq’s outstanding work. Last not least, there is good news since the national and regional officials have officially recognized Maxime Lenoir as the WW1 hero for Tours and Indre-et-Loire in the remembrance operation called « 100 cities, 100 heroes, and 100 flags » since last summer. A ceremony to pay tribute to the local hero was held in the capital of Touraine, Place Anatole France on the left bank of the Loire river on Friday, September 19th, 2014. The Lenoir’s family, their friends and some veterans attended the ceremony which ended in the majestic festival hall at the city hall. Though he did not know, Senior Master Sergeant (Adjudant – OR-8) Maxime Lenoir was to be promoted to 2nd Lieutenant in 1917. His disappearance in history handbooks for almost a century remains a mystery. Moreover, avgeeks, online gamers as well as modelists used Lenoir’s features « Trompe la mort III », « Max », and « Backjumper » tagged from markings just along with Guynemer’s « Vieux Charles ». No wonder if Maxime Lenoir recovered his position in aviation history for at least two books featuring the former ace are to be published between 2015 and 2016 – and quite rightly so. Among the 100 WW1 heroes, Lenoir turns out to be the 5th ace in victories out of 21 aces, and the second « Dead for France » ace after… Guynemer! 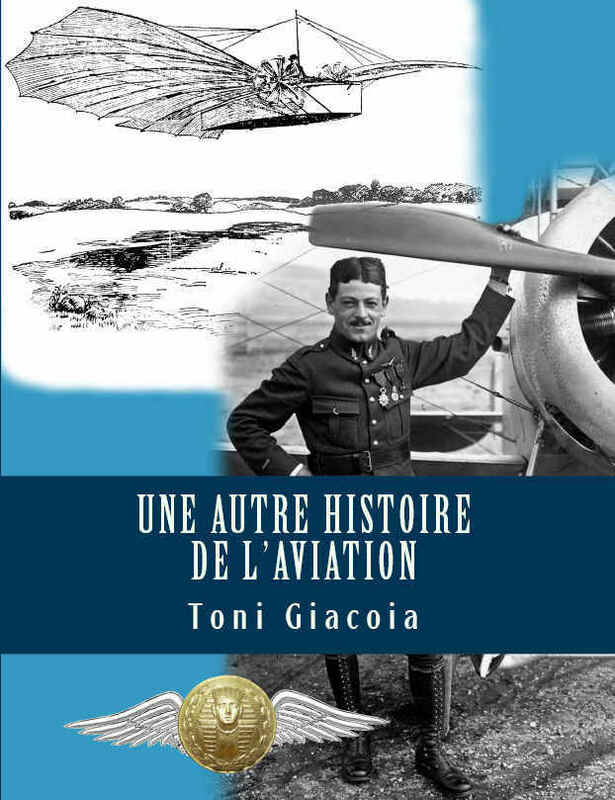 Didier Lecoq (a historian and a journalist who is the co-author of L’Aviation militaire en Indre-et-Loire) was the first who had pointed out Maxime Lenoir, the forgotten ace, this ‘“Guynemer of the Loire Valley”’ since 2010. Without him, Lenoir would still be a forgotten ace. Only a few other people had remembered Maxime Lenoir’s feats before – his family, and two friends of theirs, Abel Anjorand and Philippe Girard. Maxime Lenoir, who had trained in Buc, had been performing « Looping the loop » on his « Backjumper » Blériot XI throughout France in airshows since February 7, 1914. Then in November 2015, he was reported from a historian in Berlin that the Germans erected a printed cross on Lenoir’s tomb in his honour. He may have been the first pilot in the world who shot down a Drachen-type balloon on June 15, 1915 – to be confirmed as we are still searching. That operation was highly risky since those sausage-balloons were fiercely defended by ground-based air defenses. Reginald Warneford, a brave British pilot had downed a Zeppelin 8 days before. Shooting down a Zeppelin was a different business – an altitude challenge to make it short. On the one hand, Warneford became famous for this feat. He was awarded the prestigious Victoria Cross and the Légion d’Honneur. On the other hand, Lenoir’s Drachen victory was barely noticed. It was recognized several months later and few people figured out how fierce a battle it involved. He would have been the first pilot in the world who shot down a heavy bomber Gotha on September 25, 1916. Only a handful of gallant pilots managed to shoot down such a flying fortress. Neither Fonck, nor the other allied aces downed a Gotha. 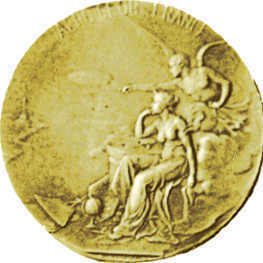 Only Guynemer, helped by Chainat recorded a victory, a Gotha claimed on February 8, 1917. Nungesser, the redoubtable ace, shot down two Gothas. Maxime Lenoir suffered a lot from that air combat which left him a wound or a bruise to the edge of his left eye. Among those killed in action, according to the number of victories, Lenoir was number 1 among the allied aces and the 3rd in the world. This is why his MIA spread around the world in the press. Georges Guynemer was KIA on September 11, 1917. Step by step, as it is being confirmed, it turns out that Maxime Lenoir may have been the Ace of aces out of Verdun sky in 1916. At least between July and October 1916 while the French Poilus were through a glorious stage, regaining Fort Douaumont, then Fort Vaux. There is now a better understanding of that German prisoners claims about Lenoir’s attacks in interrogations. After checking, Lenoir was used to flying due north beyond Verdun, overhead Douaumont and beyond more often than Nungesser for instance. Perhaps it was why his SPAD VII was marked « TROMPE LA MORT III » – Death-dodger III – on his fuselage. This confirms Jacques Mortane’s articles which praised Lenoir as one of the best aces at that time. Obviously, Maxime Lenoir also flew a Nieuport 17 in late 1916 equipped with an Éclair propeller from Marcel Dassault (Bloch at that time). The plane must have been very maneuverable at that time. It is the first ti me we have seen an Éclair propeller mounted on this type of aeroplane. The picture cannot be published at this time. Last but not least, Maxime Lenoir, the 11-victory ace, was awarded the Legion d’honneur, Médaille militaire, Croix de guerre with 8 palms, as well as the notorious Aeroclub of America, and Aeroclub of France gold medals! He was the first ace with Guynemer and a few others to be awarded these awards! Maxime LENOIR aurait eu 126 ans aujourd’hui. Il fut autrefois un des plus connus et talentueux pilotes de sa génération. Il avait été pionnier de l’aviation alors qu’il faisait partie de ces quelques pilotes capable d’accomplir des boucles en voltige à la suite d’Adolphe Pégoud entre 1913 et 1914. Il s’engagea dans quelques courses d’avions et de nombreux meetings aériens sur son Blériot XI surnommé »Backjumper ». La presse locale, nationale et internationale commença à publier des articles sur son sens prodigue du pilotage dans les nombreux meetings aériens étant donné que les spectateurs l’acclamaient à chaque fois qu’il se produisait. Par exemple, il fut porté en triomphe après avoir avoir accompli des figures acrobatiques au-dessus du terrain d’aviation de la famille Girard, « La Girardière » à Chargé son village natal en Indre-et-Loire où jusqu’à 5000 personnes s’étaient rassemblées pour assister à son show aérien en mai 1914. Alors que la notoriété de Lenoir était croissante, l’archiduc François-Ferdinand fut assassiné et la »Guerre européenne » éclata. Il s’engagea dans l’armée peu de temps après. Malgré ses compétences exceptionnelles en tant que pilote, Maxime Lenoir fut malheureusement contraint de rejoindre la cavalerie française. Il continua ensuite à demander une mutation vers l’Aéronautique militaire récemment créée par le général Hirschauer et devint pilote de chasse. Toutefois il fut d’abord affecté au réglage du tir à l’escadrille C18, puis il fut affecté à l’escadrille N23 comme pilote de chasse. Il mena une guerre terrible au dessus des tranchées et engagea des combats aériens acharnés contre l’aviation prussienne au dessus de Verdun. Il devint un des premiers pilotes à abattre un ballon. Après quelques victoires en 1915, il devint le meilleur pilote de chasse de la N23 en 1916 avec 11 victoires, ainsi que le plus décoré parmi des noms prestigieux : Pinsard, Casale, Gilbert, de Beauchamp, Rochechouart de Mortemart, Brindejonc des Moulinais, Roland Garros, Pulpe (venant de Russie), Baumont, etc. D’après des témoignages de soldats allemand, Lenoir était un as très adroit et redoutable. Ils le connaissaient comme ils connaissaient Navarre, Nungesser, Guynemer, Dorme et bien sûr Boelcke. Il est important de rappeler que Mannock, Rickenbacker, Collishaw, Bishop, Löwenhardt, Little, Udet, McCudden, Fonck, Von Richthofen, Beauchamp-Proctor, and McLaren n’étaient pas aussi célèbres à ce moment là car certains d’entre eux n’étaient pas des as ou ne comptaient pas autant de victoires. La guerre aérienne entre 1914 et 1916 était totalement différente de celle menée entre 1917 et 1918. Comme Lenoir avait été formé au terrain d’aviation de Buc chez Blériot, la meilleure école d’acrobatie aérienne, il parvenait à échapper au feu ennemi lorsque sa mitrailleuse s’enrayait. Comme un toréador et de façon très habile, il savait comment leurrer les aéroplanes ennemis lorsque ses camarades pilotes subissaient un feu nourri. C’était le roi de l’esquive mais il prenait beaucoup de risques, trop peut-être. Il revint plusieurs fois au terrain de Vadelaincourt son avion criblé de balles. Il n’hésitait jamais à voler au secours de ses camarades pilotes à chaque fois qu’il le pouvait puisqu’il osait faire face à plusieurs appareils allemands d’affilée. Il avait la réputation d’être un très bon ami ainsi qu’un véritable salut dans le ciel de Verdun. Par exemple, lorsqu’il apprit que son ami Navarre (surnommé »la sentinelle de Verdun ») avait été abattu et grièvement blessé le 17 juin 1916, il décolla immédiatement. Seul, il se rendit sur les lieux où son ami avait été abattu et fonça sur un LVG C qu’il descendit sans tarder. Il devint si célèbre que son nom ou son portrait figurait sur des magazines, des emballages de bonbons et des vignettes parmi les plus grands as au temple de la renommée. Maxime Lenoir totalisait plus d’une centaine de missions de guerre, ce qui était considérable à cette époque. Blessé à deux reprises en combat aérien, il continua à livrer des combats aériens. Il décolla le lendemain de la reprise du fort de Douaumont ravagé par la bataille. Alors qu’il était en mission de guerre le 25 octobre 1916 lors de la reprise de Fort Douaumont sur son légendaire SPAD VII marqué du surnom »Trompe la mort III » il fut porté absent ce soir là puis disparu et ce n’est que bien plus tard qu’il fut déclaré »Mort pour la France ». On ne l’a cependant jamais retrouvé malgré de multiples recherches. Malheureusement, voilà pourquoi l’histoire de l’aviation l’a oublié pendant presque un siècle. L’un des plus brillants pilotes avait disparu de l’histoire de la première guerre mondiale. Son souvenir subsistait tout de même dans quelques livres en anglais et Jacques Mortane, le journaliste français laissa plusieurs publications soulignant le rôle de Maxime Lenoir dans l’aviation et le combat aérien. Puis plus rien, on n’écrivit presque rien sur ce pilote qui fut décoré de la Légion d’honneur, de la Médaille militaire, la Croix de guerre, ainsi que lui furent attribué les prestigieuses médailles d’or de l’Aéroclub d’Amérique et de l’Aéroclub de France! Trois hommes seulement, ont su conserver son souvenir intact. Abel Anjorand qui a toujours été un ami de longue date de la famille Lenoir. Il a compilé toute une série de documents et d’images pour laisser une trace de l’as du village à de futures générations. Philippe Girard se souvient des histoires de sa famille qui a reçu Maxime Lenoir et son Blériot XI dans leur ferme de la Girardière en mai 1914. Didier Lecoq, journaliste et historien révèle depuis quelques années les exploits de Maxime Lenoir sur son site aeroplanedetouraine.fr . L’as de la première guerre mondiale aurait pu rester caché pendant peut-être encore quelques décennies sans le magnifique travail de Didier Lecoq. Il y a enfin une bonne nouvelle puisque depuis l’été dernier, les responsables nationaux et régionaux reconnaissent officiellement Maxime Lenoir comme le héros de la Grande guerre pour la ville de Tours et l’Indre-et-Loire dans l’opération de commémoration »100 villes, 100 héros, 100 drapeaux ». Une cérémonie pour rendre hommage au héros local s’est déroulée dans la capitale de Touraine, place Anatole France sur la rive gauche de la Loire le vendredi 19 septembre 2014. La famille Lenoir, leurs amis et des anciens combattants ont assisté à la cérémonie qui s’acheva dans la majestueuse salle des fêtes de l’hôtel de ville. Bien qu’il ne le sut pas, l’adjudant Maxime Lenoir devait être promu sous-lieutenant en 1917. Sa disparition des manuels d’histoire pendant presque un siècle demeure un mystère. Ce qui est encore plus étrange, c’est que des fans d’aviation, des joueurs en ligne ainsi que des modélistes ont utilisé des symboles de Lenoir comme »Trompe la mort III », »Max » et »Backjumper » tirés pour certains de décalcomanies accompagnant le »Vieux Charles » de Guynemer. Ce n’est pas étonnant que Lenoir retrouve sa place dans l’histoire de l’aviation car au moins deux livres évoquant l’ancien as doivent paraître entre 2015 et 2016 et fort justement. Parmi les 100 héros de la Grande guerre, il s’avère que Lenoir est le 5ème as par le nombre de victoires sur un total de 21 aviateurs et il est dans cette liste le second as »Mort pour la France » juste après… Guynemer ! Didier Lecoq (historien et journaliste à La Nouvelle République, co-auteur de L’Aviation militaire en Indre-et-Loire) a le premier fait resurgir Maxime Lenoir, l’as oublié, ce ‘“Guynemer de Touraine”’ depuis au moins 2010. Sans lui, Lenoir serait toujours un as oublié. Avant lui, peu de gens se souvenaient des exploits de Maxime Lenoir: sa famille et deux de leurs amis: Abel Anjorand et Philippe Girard. Maxime Lenoir, formé à Buc, exécutait à travers la France des représentations ‘“Looping the loop”’ sur Blériot XI depuis au moins le 7 février 1914. Il a peut-être été le premier pilote au monde à abattre un ballon de type Drachen en juin 1915. (à confirmer, cherchons toujours) Cette opération était hautement périlleuse tant ces ballons étaient bien défendus par des batteries sol-air. Reginald Warneford, un vaillant pilote britannique avait abattu un Zeppelin 8 jours plus tôt. Descendre un Zeppelin était une toute autre affaire – en très bref, il s’agissait de prendre l’ascendant en termes d’altitude. D’un côté de la Manche, Warneford devint célèbre pour cet exploit. Il a été décoré de la Victoria Cross et de la Légion d’Honneur pour cette première. De l’autre côté de la Manche, le Drachen abattu par Lenoir fût à peine mentionné. Il ne fut reconnu que bien plus tard (plusieurs mois) car peu de gens pouvaient s’imaginer quel âpre combat aérien cela impliquait. Il aurait accompli l’exploit d’être le premier au monde à abattre un Gotha le 25 septembre 1916. A l’exception d’une poignée de pilotes valeureux, ni René Fonck, ni les autres as alliés ne seraient parvenus à abattre une telle forteresse volante. Seuls Guynemer, avec l’aide de Chainat aurait enregistré une victoire sur Gotha le 8 février 1917. Quant à Nungesser, le redoutable, il en aurait descendu deux. Maxime Lenoir a beaucoup souffert de ce combat qui lui a laissé une blessure sur le coin de l’oeil gauche. Parmi les morts au combat, au nombre de victoires, il était n°1 du côté des alliés et le 3e as au monde, ce qui explique l’écho de sa disparition dans la presse internationale. – Georges Guynemer est mort au combat le 11 septembre 1917. Cela se confirme peu à peu, il apparaît que Maxime Lenoir était probablement l’As des as du ciel de Verdun en 1916. Du moins entre juillet et octobre 1916 dans une période victorieuse française (reconquête de Douaumont puis Vaux) On comprend mieux les témoignages des prisonniers allemands lors d’interrogatoires. Après vérifications, Lenoir allait toujours plus au nord de Verdun, au-dessus de Douaumont et au-delà, bien plus souvent que Nungesser par exemple. D’où peut-être une part de son surnom sur son fuselage « TROMPE LA MORT III ». Ceci confirme les articles de Jacques Mortane qui considérait Lenoir comme un des meilleurs as de l’époque. Visiblement Maxime Lenoir volait aussi fin 1916 sur un Nieuport 17 modifié avec hélice Éclair de chez Marcel Dassault (Bloch à l’époque). L’appareil devait être extrêmement maniable pour l’époque. C’est la première fois que nous voyons une hélice Éclair sur ce type d’appareil. On ne peut pas publier la photo pour le moment. Enfin et surtout, Maxime Lenoir, l’as aux 11 victoires, a été un des premiers à être décoré de la Legion d’honneur, la Médaille militaire, la Croix de guerre avec 8 palmes. Chose tout à fait exceptionnelle, on lui a aussi décerné les médailles d’or de l’ Aeroclub d’Amérique et de l’Aeroclub de France. Il a été le premier as avec entre autre Guynemer à recevoir de telles distinctions.